The groundwork is being laid for a new wrestling promotion. It involves some of the top players in the industry and financial backing from a billionaire family already involved in professional sports. 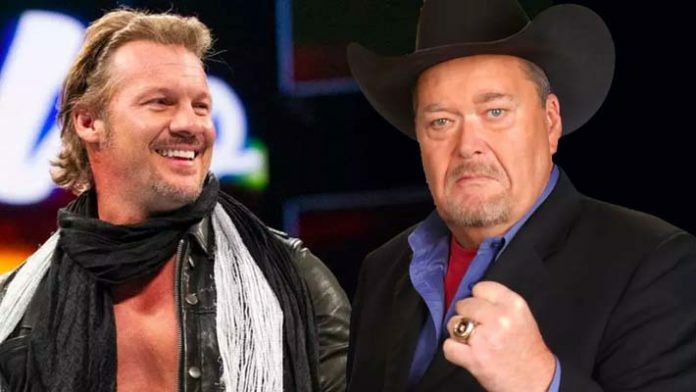 Jim Ross and Chris Jericho have been working with renowned agent Barry Bloom in putting the pieces together. JR’s contract with WWE expires shortly and he has declined an offer to renew. He has been sending out feelers to select WWE performers, while Jericho has been handling the New Japan side. Bloom was recently in Japan taking meetings related to this deal. The project is being financed by the Khan family. Shahid Khan, the patriarch, is one of the wealthiest men on the world (and a colorful personality). He owns the NFL’s Jacksonville Jaguars and Fulham F.C. of the English Premier League. Shahid’s son, Tony, is a big wrestling fan and has been hands-on with getting this off the ground. He follows a few wrestlers on Twitter, including Cody Rhodes, Kenny Omega, The Young Bucks and Marty Scurll. Cody Rhodes and The Young Bucks are on board, as are Hangman Page and a few others. Kenny Omega’s status is unclear. For what it’s worth, Bill Goldberg is a client of Barry Bloom, along with JR and Jericho. When The Elite has talked about sticking together next year, this is what they’ve been alluding to. Jim Ross has been coy about this on his podcast, vaguely teasing something big on the horizon without showing his cards. With the A-level talent they are getting commitments from, the group will burn through a ton of cash quickly. They are moving forward with the understanding that significant losses are expected for the first couple years. Talks are underway with AXS to secure a TV deal. AXS TV executive Adam Swift is fast-tracking this. (Update: A rep from AXS TV has denied this report.) AXS currently airs New Japan Pro Wrestling and recently announced Jeanie Buss’ Women of Wrestling premieres in January. Sinclair Broadcasting, which provided logistical support for All In and has been acting in good faith, has been in the dark about this story. The timeline for this going live is 12-16 months from now (late 2019 / early 2020). We’ve reached out to the involved parties for comment and will update this article if necessary.